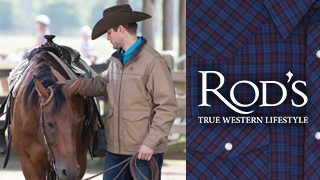 Established in 1976, Rod’s Western Palace is a family-owned retailer of Western apparel and gifts. Originally a brick-and-mortar establishment, the company expanded to catalogues and online retail in the early 90’s. Presently, they are one of the leading suppliers of Western apparel in the country. Rod’s used Google advertising on its own, but went offline after the marketing campaigns didn’t produce the results they were looking for. Knowing a lack of online presence imperiled future growth, Rod’s looked to ROI as a partner to cultivate a strong online presence and replicate their offline success. With such a great product and established brand, ROI was confident the client could leverage online marketing to its advantage. ROI typically takes over management of existing, active AdWords accounts and optimizes them by cutting costs and finding new opportunities. We use both recent and historical data to inform our decision-making process. Rod’s was particularly challenging because their account was only active in 2011 & 2012, and the digital advertising landscape has and continues to evolve rapidly. Click prices, competitors, and advertising features within AdWords were outdated and of minimal use when building the account. Instead, ROI relied on its knowledge of AdWords best practices and the e-commerce space. After an initial account analysis, we discovered several opportunities Rod’s had not been exploiting. They had no Product Listing Ads at the time (now Google Shopping) and their mobile traffic was minimal. Additionally, the keyword set was not geared towards acquiring customers who aren’t familiar with the brand. We leveraged our proprietary EDGE technology, which finds previously converting search terms and pairs them with matching ad text along with a competitive CPC. This allowed us to quickly build out a new campaign structure that covered a vast keyword library. 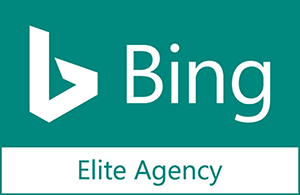 Additionally, EDGE continues to refine a keyword set by mining new converted terms to auto create new ad groups, complete with corresponding ads and market competitive bids. This ensures that Rod’s never misses out on keywords that drive sales. Another of our proprietary tools, GATE (Google Analytics Tracking Enhancer), was utilized to build a custom Google Analytics profile. This allowed us to see sales and revenue data within AdWords on a first-touch basis. 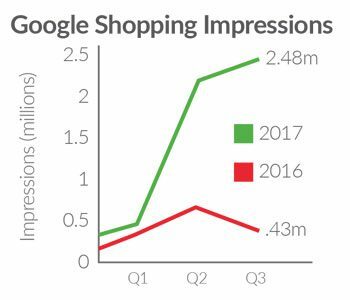 Looking at first-touch allowed us to bid intelligently for upper-funnel keywords that end up driving sales through Rod’s own branded terms. ROI Revolution took over Rod’s account in December of 2015. Prior to this time period, Rod’s AdWords account had been dormant since 2012, which was challenging given the lack of recent data available for analysis. However, over the next year, ROI grew overall online revenue every single month, culminating in a December 2016 that saw nearly 2,000 transactions. 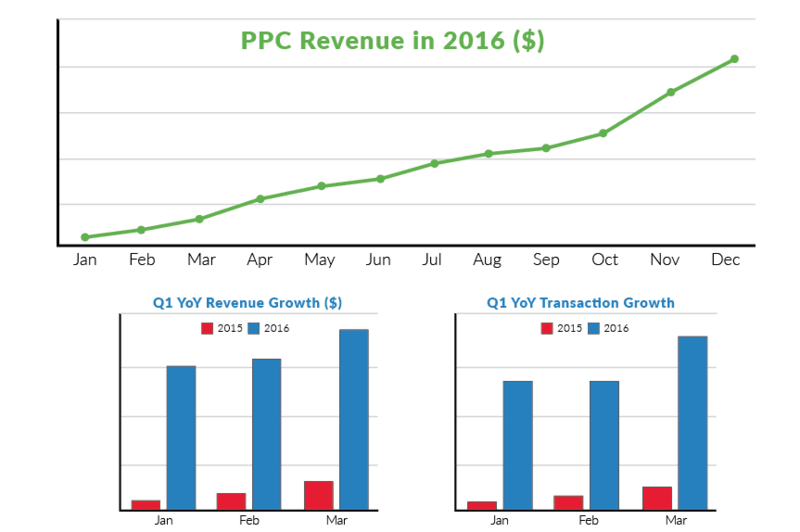 In Q1 of 2017, that meteoric growth trend continued, as Rod’s saw a 688% YoY (year over year) paid search revenue growth versus 2016. 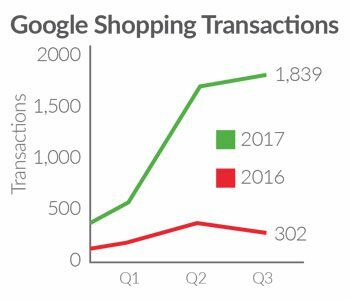 Additionally, there was an 805% growth in transactions. 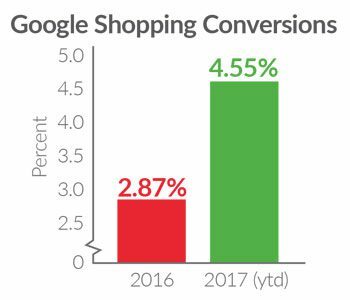 And while growing revenue from PPC nearly 7x, the average advertising spend only increased 335%, creating more than a 2x increase in ROAS. 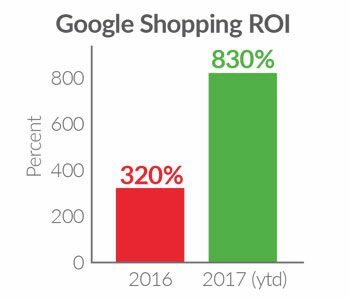 With a strong focus on Google Shopping ads and mobile traffic, ROI analysts were able to segment and optimize non-branded ppc campaigns, leading to a huge growth in transactions, and a very happy client!